Check out some exclusive insight from Firstsource employees Deb Ashley and Francis Binnell on making a career in customer service management and the ins and outs of contact centre work. Q: How did you start out in the customer management industry? Deb: My first degree was in sports coaching, but I started working in a contact centre because it offered regular hours and a regular income. What began as a post-graduation job to pay the bills has turned into a really rewarding career, and I’ve now been at Firstsource for six years. I manage a team of 17 customer service advisors, making sure everyone is motivated to achieve great results. Francis: I came into the industry after a short period of unemployment after leaving university. It was an attractive option as customer management is a growing industry. That was almost five years ago. My role has evolved greatly during my time here, with on the job training and support if needed. Compared to other jobs I’ve had, contact centres have an incredible buzz about them that you just don’t get working in a normal office or at home. How has your career developed since starting at Firstsource? 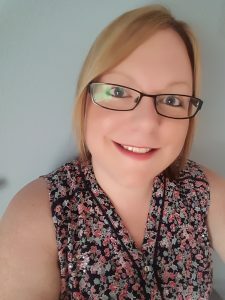 Deb: I joined Firstsource as a Customer Service Representative and now, seven years later, I’ve worked my way up to become an Assistant Manager. Each role along the way has given me more responsibility and opportunities. I’m also working towards my ILM Management 4 qualification and my BSc (Hons) in Contact Centre Management with support from the company. Francis: As long as you work hard, there’s so much opportunity to grow within the company. You receive a lot of initial support, with constant coaching and mentoring. After core training there are more opportunities offered through FirstEdge Academy including management development and soft skills training. What skills have you developed while working in a contact centre? Francis: Because our industry is constantly developing, there are always new skills to learn. Customer experience is becoming more and more important to the brands we work with. Working in a contact centre means that you quickly become an expert in customer service and communication. These are skills that all employers prize and are highly transferrable to any job. Deb: My confidence has grown so much in the role. One of my favourite parts of the job is interacting with new people, speaking as an expert to others and helping to implement new strategy. Last year, I was chosen to go to India and support their Webchat development. I worked one to one with advisors and developed workshops which were then rolled out on a wider scale. It’s great to know that I can make make a difference to the way we work as a company. What are some of the most satisfying aspects of your job? Francis: Interacting with customers on behalf of some of the world’s leading brands means you essentially become an ambassador of that brand. Each company has its own way of communicating with customers and we are trusted to deliver a fantastic service to them. It’s a big responsibility, but the more you put into the job, the more you get out of it – and contact centres reward hard work with great progression and incentives. Deb: There’s so much fulfilment in the job, whether it’s the satisfaction you get from helping people with their queries or mentoring team members to reach their full potential. My proudest moment was being nominated in last year’s Welsh Contact Centre Awards for best team leader. I also came in 3rd in the Overall UK Contact Centre Awards Team Leader Category. Being recognised alongside other big companies was a definite highlight of my career so far! What makes a contact centre a special place to work? Francis: Contact centres easily lead the way when it comes to diversity in the workplace. As a result, they are generally open minded and very understanding places to work. Many centres also offer an alternative to the rigid 9-5 working day and employees benefit from a range of perks, like access to free healthcare and financial assistance. Deb: There’s always something a bit weird and wonderful going on, whether it’s the company choir performing or social and fundraising events. These events are a really fun way to get everyone together and encourage people from across the business to get to know one another. What would you say to someone thinking about starting a career in a contact centre? Francis: Don’t be put off by the stereotype of contact centre jobs! Working here can be a great career move, not just a stepping stone to something else. The huge range of jobs available means that people from all backgrounds, with all levels of qualifications, can find an area to thrive in. Deb: It’s far from the robotic and insular work that people associate with contact centres. No day is the same and people are always on the go and talking about the latest hot topic in customer service. It’s also one of the most social places to work, and the people are great – I’ve made some of my best friends working here!